The first Earth Day on April 22, 1970, mobilized 20 million Americans and is often credited with launching the modern environmental movement. 22 years later more than 1 billion people participate in Earth Day activities, making it the largest civic observance in the world. Earth Day Network works with over 22,000 partners in 192 countries to broaden and diversify this movement. Whether your organization wants to develop recycling programs in underserved neighborhoods or promote green economic policies, celebrating Earth Day with an environmentally-conscious event is a perfect way to rally support for your cause. Have a project planned on or near April 22, 2102? Let us know about it by contacting Beth Greco at BethG@uwsn.org. Earth Day was created in 1970 to inspire organizations and individuals to demonstrate their commitment to the environment. This year, United Way of Southern Nevada’s Volunteer Center will promote environmental awareness on April 22 with a Day of Service. Tell us what your organization plans to do on Earth Day and we will post it on the special events section of our website. Earth Day gives Las Vegans an opportunity to not only serve their community, but to save their world, one project at a time. 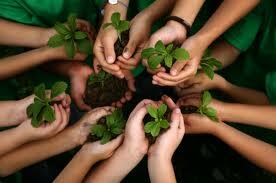 Helping the environment helps every one in it, so help your organization by going green!